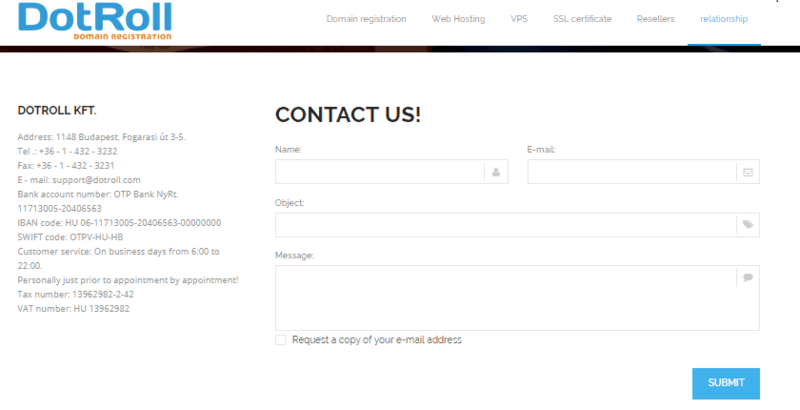 DotRoll Review 2019: Is DotRoll a Good Hosting? DotRoll is a leading web hosting service in Hungary that is also ICANN-accredited. With nearly a decade of hosting experience, their servers power over 120,000 domains and several personal and business websites. DotRoll is a Hungarian hosting company that was founded in 2011. They manage thousands of domains and host several websites in their Plesk-powered shared hosting accounts. DotRoll uses enterprise-grade HP and SuperMicro servers which are connected to superfast SSD storage drives and redundant networks with fantastic domestic and international bandwidth. With these, they’re able to provide a 99% uptime guarantee to customers who are looking for unmatched performance and speed for their websites and apps. When it comes to hosting administration, they offer the choice of cPanel or Plesk. Both are user-friendly and expandable control panels with 100+ extensions between them. You can build your website, run updates, and monitor performance 24/7. Softaculous app installer with step-by-step wizard is included in the package. With a few clicks, you can build a complete website, web store, or forum using any of the 50+ Open Source CMS scripts, secure it with their free Let’s Encrypt SSL, and integrate Cloudflare CDN to ramp up its performance. If you’re a developer, you’ll be happy to know that all of the popular scripting languages such as PHP 4+, Ruby, Git, Perl, and Node.js are supported. What I like about DotRoll is that they’re proactive when it comes to security and data backups. They not only provide intrusion detection but web app security via ModSecurity as well as virus and antispyware protection. Storage disks are isolated which ensures any security incident doesn’t affect or pose a risk to other drives while suspicious IPs are automatically blocked. With DotRoll, you have little to worry about data as they carry out automatic weekly backups of all user files and databases. Though they don’t have a money-back guarantee policy, DotRoll doesn’t look like a company that would shortchange its customers, considering it powers some of the domains and websites of big European brands in Hungary. Their plans are fairly priced, loaded with features, and easy to upgrade. When you place an order for a hosting package, you have the option to pay in USD, HUF, or Euro. Customer support is in Hungarian and their live chat reps are available from 6:00 a.m. through 10:00 p.m., Monday-Friday. If you need assistance with hosting issues, you can also call their telephone support number, send an email, or message them via the contact form on their website. Get WordPress-ready Hosting Package at DotRoll. Wondering how DotRoll stacks up against other Web Hosting companies? Enter any other Web Hosting company and we will give you a side-by-side comparison.